The fourth and fifth graders have started playing the ukuleles. 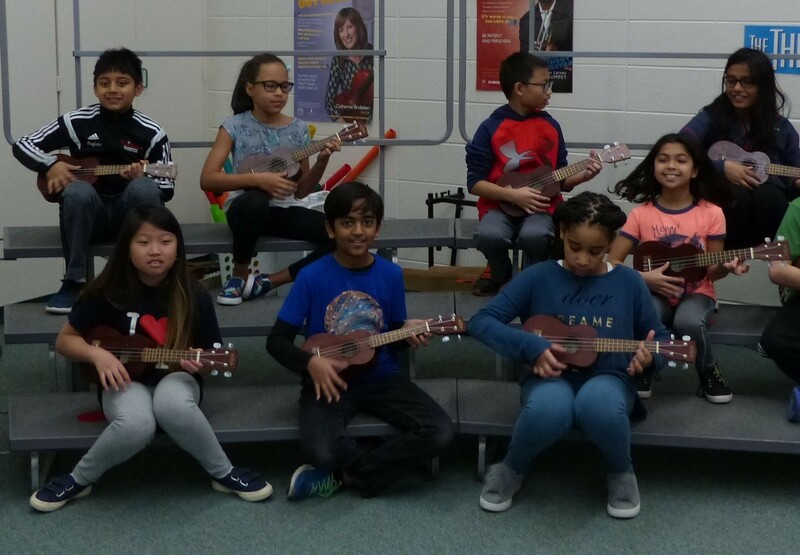 Builta received a $1500 grant from the IPEF to purchase 30 ukuleles this year. 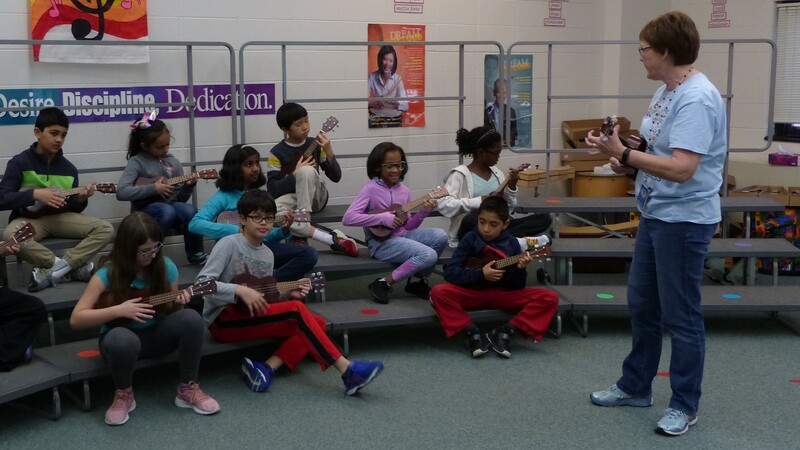 Students started by learning about the history of this great instrument, including famous ukulele players. Next, the students will learn about the parts and mechanics of this string instrument. Then they will be ready to hold and strum the instrument. The very first thing the students worked on playing was a simple down strum on the 4 strings. Each lesson in the future will introduce new chords. Finally, the students will get into groups and arrange a ukulele accompaniment for the song, "Yellow Submarine."